Often, we are asked by board members at community associations whether the board can use self help to resolve a problem where an owner is failing to maintain their unit or lot/home. Sometimes, we learn about it after the fact. In our experience, self-help is not usually the best or appropriate option. Fortunately, none of our clients have been sued for taking action, and there are no California court of appeal decisions or statutes that address this issue. But we can learn how not to approach this issue by considering what happened to a Texas association that took steps to deal with a problem that landed that association in some very deep you-know-what. The Texas Court of Appeals handed down a decision involving the Happy Hide-A–Way Civic Club HOA, where apparently not everyone is happy. The association was not happy with how one homeowner was failing to maintain their home. But rather than sue the owner or take other enforcement action, the association, relying on the language in its governing documents, decided that it was entitled to demolish the owner’s home, and proceeded to do just that. As a result, the owner was not so happy and sued. We have many association clients with similar language in their CC&Rs. Clearly the deed restrictions at the Happy Hide-A-Way Civic Club did not exactly grant the board the power or authority to tear down and remove an owner’s home. Instead, I would interpret the above quoted provision to mean that the association could have the weeds and grass mowed or weed-whacked, and remove garbage, trash, and rubbish so as to place the property in a neat, attractive, healthful and sanitary condition. The association apparently thought that the language in this provision that said “and so on” meant they could tear down the home. I hope that the association’s legal counsel did not give the board that advice, as I certainly would not have come to that interpretation. We typically do not even recommend that our California community association clients go onto a property to cut grass or remove garbage. Remember, one man’s garbage is another’s treasure. And you never know what owner has an arsenal that they will use if their property is invaded by their association. Not only did the Happy Hide-A–Way Civic Club HOA demolish the owner’s home, it then recorded a lien on the property seeking reimbursement for the cost of the demolition, as well as fines totaling in excess of $80,000. It is not surprising to me that the Texas Court of Appeals did not find in the association’s favor. In its decision, the court found that among other things, the association had failed to comply with Texas law that required that it provide the owner with due process, notice and opportunity for a hearing, before enforcement action could be taken, and demolishing the home and fining the owner was not appropriate. While self help may sound like a good remedy, lower in cost than going to court for an order, it can often lead to more problems, including the litigation that some boards are trying to avoid by opting to go onto a property and deal with the weeds, garbage, etc. So what can board members and managers learn from this case? First, speak to the association’s legal counsel about the pros and cons of using self help based on your fact situation. Sometimes it may be appropriate; often it is not. Second, always give owners the right to a hearing before taking enforcement action. 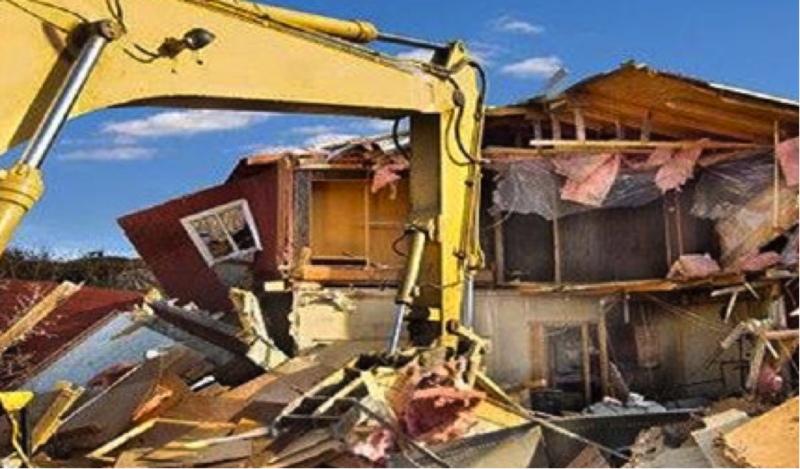 Third, demolishing a home is never a good idea, especially without a court order. Be careful out there. And thanks to Mark Payne, managing partner at Colorado law firm Winzenburg, Leff, Purvis & Payne, LLP, for posting on his firm’s blog about this case.